On October 17th, we announced almost £900,000 of money raised by National Lottery players being used by community groups across Northern Ireland. In case you missed it, here’s a look at some of the incredible groups being funded through Big Lottery Fund’s People and Communities programme. Down Special Olympics Club is using a £37,350 grant to expand the work they do to new members and volunteers. Member of the club are aged from 14 to over 65 and have a range of learning disabilities. As well as taking part in a whole package of Olympic sports and activities, being part of the group helps members to make friends and build their confidence. Fintan O’Connor, 39, who has autism, joined seven years ago. Fintan discovered he had a talent for golf when he was 15 and thanks to the support he’s received from the club, he won a gold medal at the All Ireland Special Olympic Games in Dublin in June. Celine O’Connor, Fintan’s mum, said being part of Down Special Olympics Club has made a huge difference to him. Sion Mills & District Carers Support Association also received funding from the People and Communities programme. They’re using £36,000 to support carers from Sion Mills, Victoria Bridge and Castlederg. Caring for a loved one can be exhausting work, and the group offers carers some well-deserved respite. They also give advice on benefits for carers and the people they look after, as well as running first aid and medication training and sessions on healthy eating and fitness, and relaxation techniques. 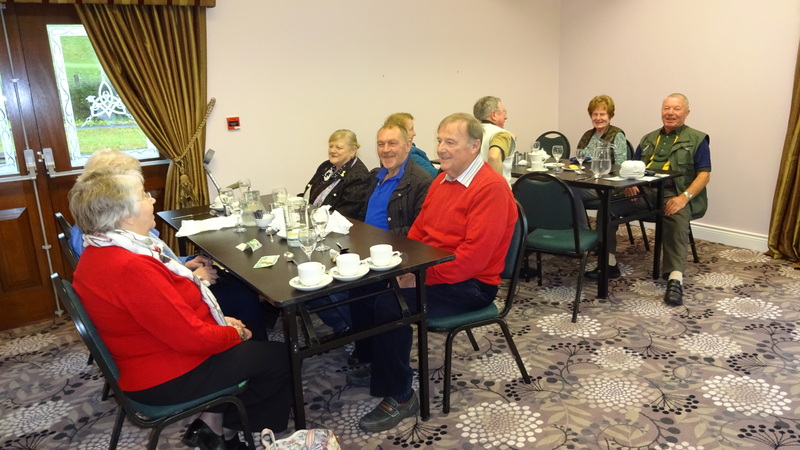 Bann Maine West Community Cluster is using £82,550 to help older people in Mid and East Antrim come together, learn new skills, and make connections through a series of lunch and learn sessions, learning workshops, and trips to sites of historical interest. They are also holding a celebration event to acknowledge volunteers’ hard work, share learning, and plan for the future. 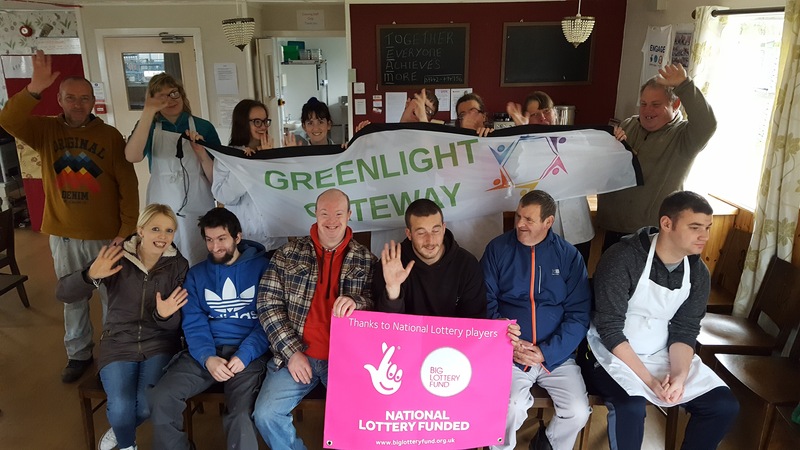 Greenlight Gateway are supporting people with learning disabilities in the Causeway Coast and Glens area by using £99,250 to help them organise social activities. Activities might include crazy golf, drumming, picnics and concerts – whatever the group’s members prefer! There’ll also be sessions on life skills like money-handling, safety awareness and healthy eating. In rural communities like Loughgiel, community associations like the Loughgiel Community Association can play an important role in getting people out of the house, building relationships, and getting together to support each other. Continuing from decades of work in their community, now they’re using £197,619 to run health and wellbeing, fitness, and skills sessions for local people to build skills, develop a sense of community spirit, and bring people together. Shopmobility Mid Ulster is using £198,813 to help people with limited mobility get out and about in their local community. 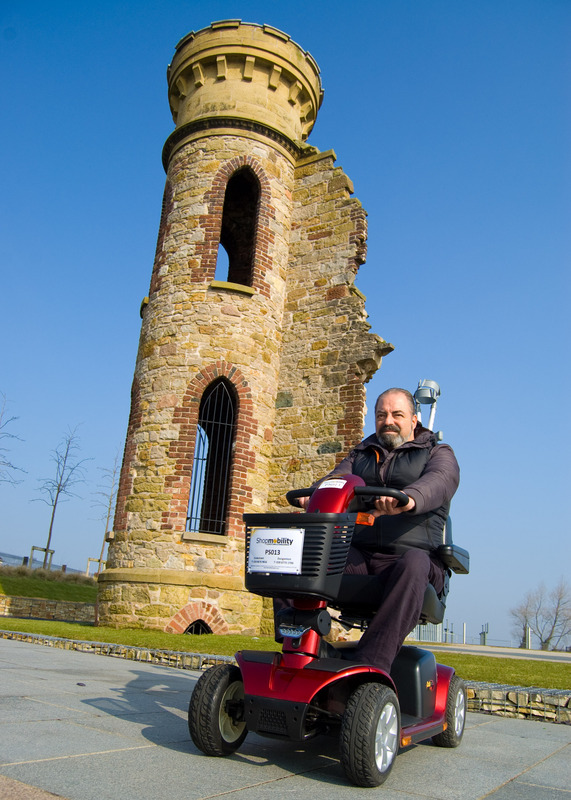 They’re part of a network of Shopmobility schemes that lend mobility equipment to its members on a daily, weekly, or monthly basis. Demand has only increased since the group established in 2010, and now with the help of National Lottery funding the group is expanding to meet the needs of people in Coalisland, Moneymore, Stewartstown, Pomeroy, Fivemiletown, and Clogher, as well as improving the services already offered in Cookstown and Dungannon. In Co. Down, Home-Start Down District are using £199,947 of money raised by National Lottery players to help families facing serious difficulties, from stress, isolation and mental illness to children with disabilities or additional or complex needs. Home-Start Down District works with those families who need a little more support to stop issues from escalating – they give families the help they need to tackle their difficulties before they get too overwhelming. Parents will be able to learn new skills and get support from other families like theirs, as well as having access to a family support worker, parent volunteers, a family support group and a parent programme. Thanks to National Lottery players, these fantastic groups are able to continue working with their communities to bring people together and put the people they help front and centre in their work.